Description of "OPEN SOURCE SOFTWARE (eBook)"
This contains nice notes on operating systems which covers: Processes, Synchronization, and Scheduling, Introduction to Processes, Dispatching and Creating Processes, Entering and Exiting the Kernel, Independent and Cooperating Processes, Synchronization, The Too Much Milk Problem, Semaphores and Producer/Consumer Problem, Semaphore Example: Readers and Writers, Monitors, Message Systems, Semaphore Implementation, Scheduling and CPU Scheduling, Deadlock, Memory Management and Virtual Memory, Storage Allocation, Sharing Main Memory, Base and Bounds, Segmentation, Paging, Translation Buffers and Inverted Page Tables, Virtual Memory, Page Faults, Page Selection and Replacement, Clock Algorithm, Thrashing, Working Sets, Virtual Machines (PDF file), I/O and File Systems, Files, Disk Management, Unix and DEMOS Disk Allocation, Directories, Windows (NT) File System, File System Crash Recovery, Disk Scheduling, Protection and Security, Protection and Security, Security Abuses, Security Improvements and Encryption. He is P.V.RaviKanth working as a Asst.Professor in Malineani Lakshmaiah Engineering College, S.Konda, Prakasam(dist.,), Aandhra Pradesh, India. I have 5 years of teaching experiences. I completed my M.Tech in QIS College Of Engineering in the stream of Computer Science & Engineering. I published 5 international journals, 4 national conferences, 5 international conferences and attend 7 national workshops. I interested areas are Cloud Computing and Resource Hacking. I have professional memberships in ISTE, IJRICSE & IACSTE. 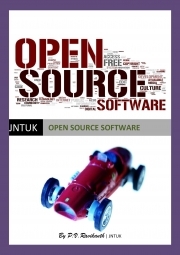 Reviews of "OPEN SOURCE SOFTWARE (eBook)"
Super book for JNTUK students. it cover all topics as per the JNTUK, Kakinada syllabus. It contain more and more examples in each Unit and Good for PHP & MYSQL learners. i just Love this lovely book.